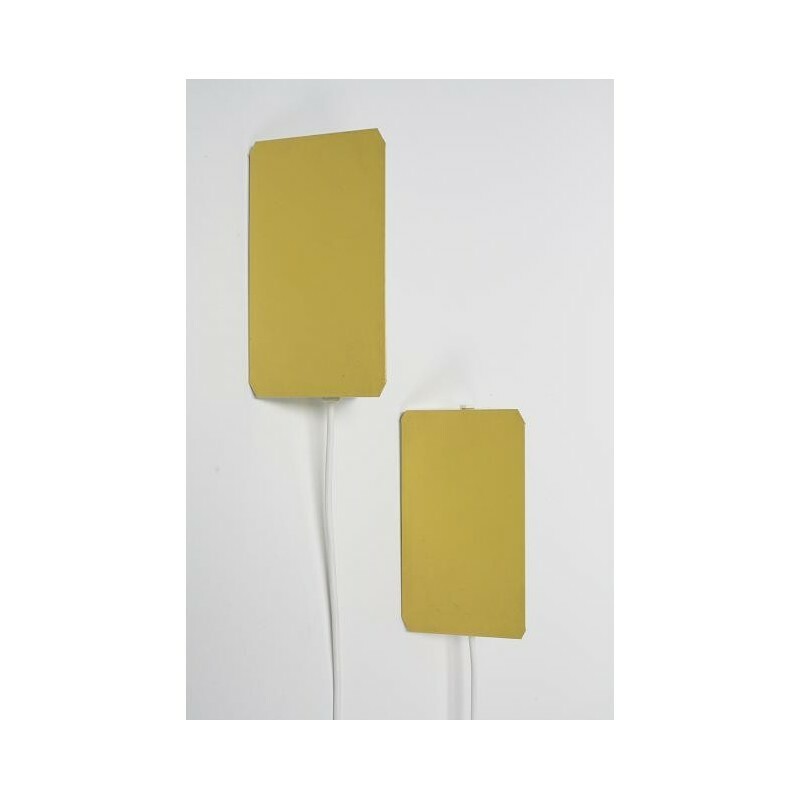 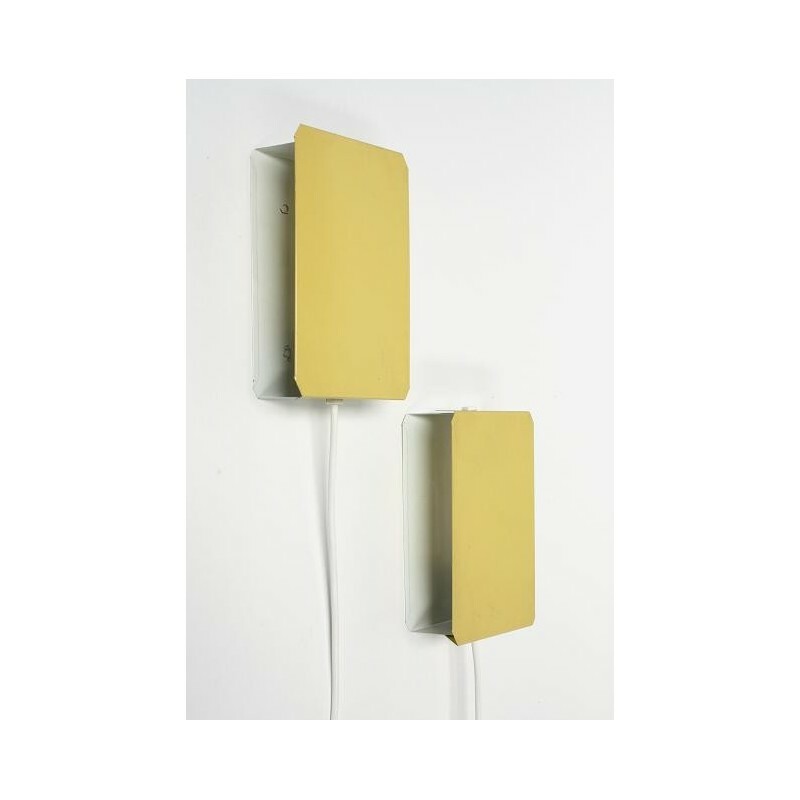 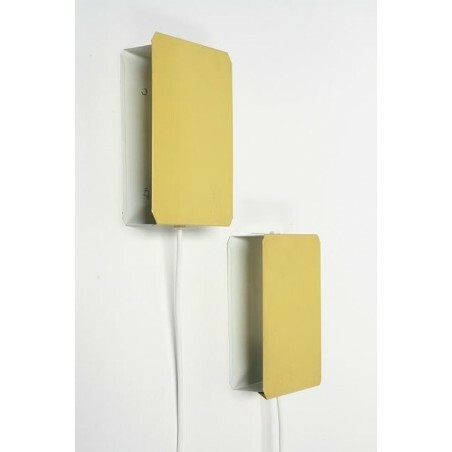 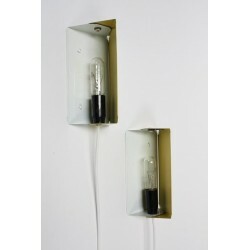 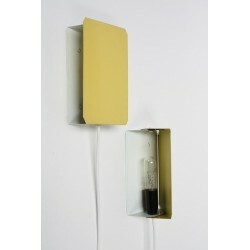 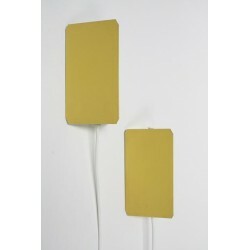 Set of 2 metal wall lamps yellow colored. 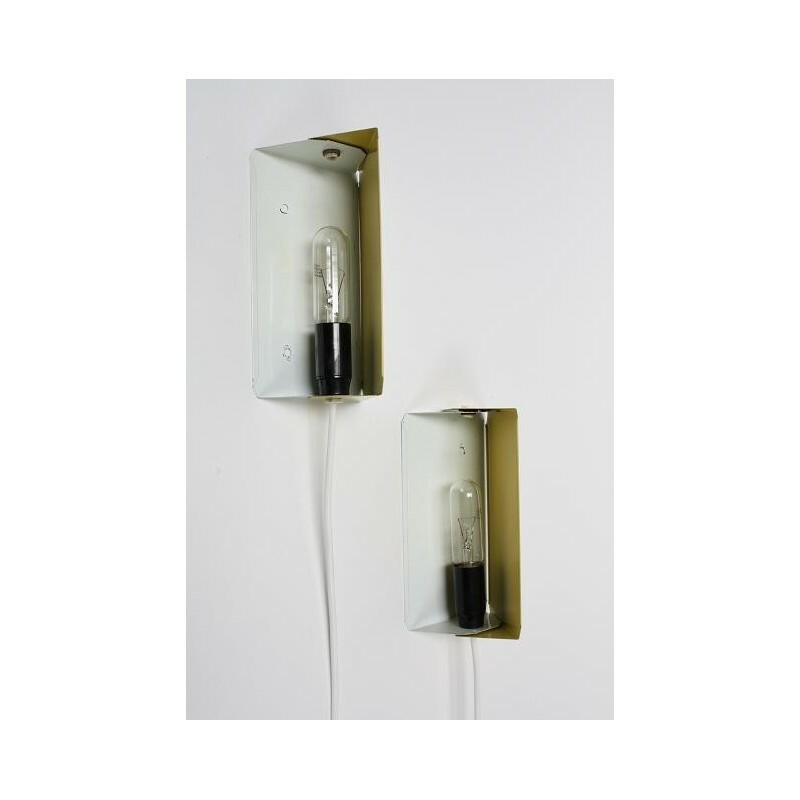 The wall lamps are in a fairly good condition. 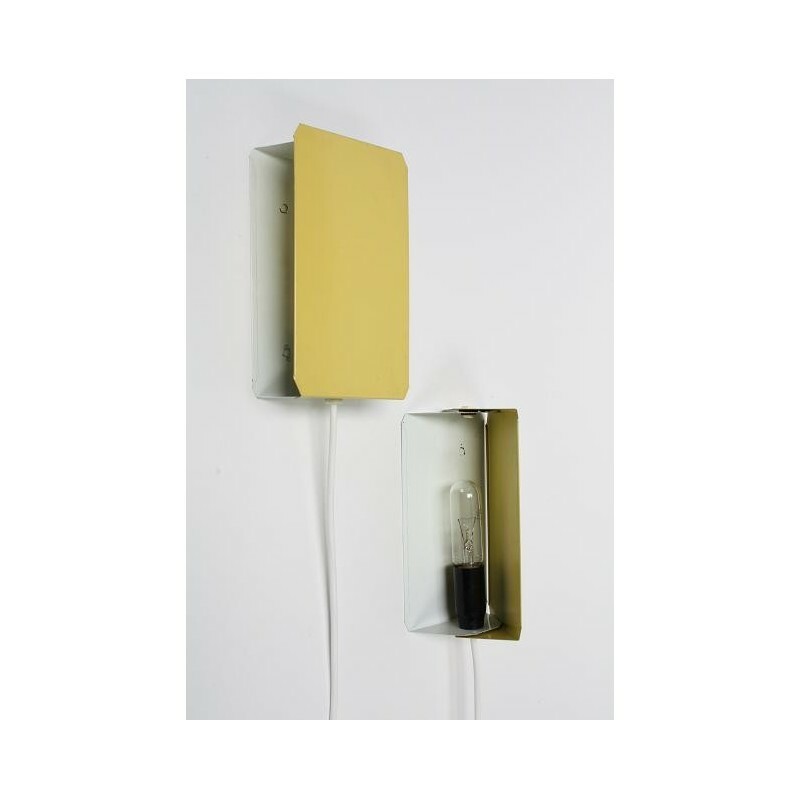 The dimension is 19,5 cm high and 10,5 cm wide.